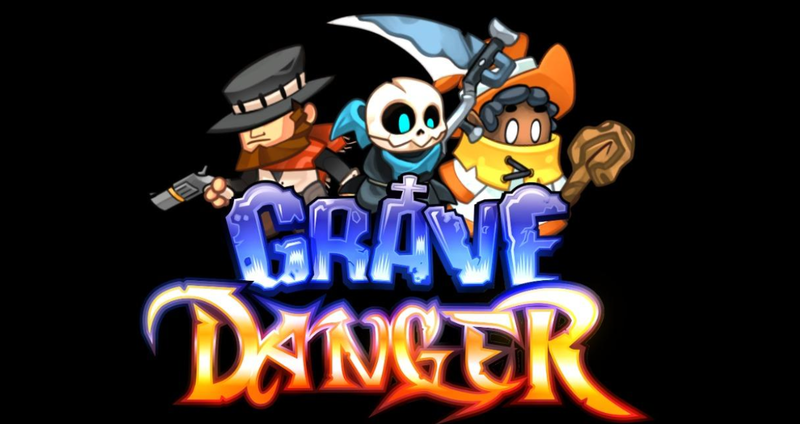 Grave Danger launched their Ultimate Edition with 10 new levels that will include tons of new mechanics including tippy platforms, firewalls, and a rideable robotic bird. Orignal owners of The Grave Danger game, just instantly received an upgrade on steam today. The game is selling for 9.99 on steam. The game is also selling on BrightLocker for 100 gold (equivalent to 10$). $1 buys 10 Gold, and is how to buy a 100 Gold priced game. Right now, if you buy a $9.99 Gold pack in the BrightLocker shop, with the current 20 gold bonus you instantly receive with the gold pack purchase, you would have enough gold to get Grave Danger Ultimate, Solar Gun, and Iconic Games digital copy of The Under game. Players will enjoy an action-packed adventure game about an unlikely group of heroes. Switch between Dante the cowboy, Elliot the wizard, and Malice the reaper; use their different abilities to solve puzzles and make their way out of trouble. Will you be able to guide them to victory? Enjoy single player or co-op in order to solve puzzles! Enlist your friends to control all three characters locally, utilizing them to their maximum potential. If you can't play with a friend or want the completely single player experience, that's fine too; the game will be completely playable in either mode. - 30 levels (With update) Full Controller & Big Picture support. - 3 unique characters all with different attack and jump abilities. - 3 unique worlds with different enemies for each. - The 3 worlds feature different kinds of puzzles. - Player gets a grade at the end of each level prompting them to re-play for a higher grade. collectibles in every level in the form of wanted posters. - when a player dies, they return as a ghost and must return to their graveyard (checkpoint) to revive.This allows more mobility giving them the ability to explore in this form. - 10 new levels for a total of 30 levels. - Turrets that fire purple projectiles that harm characters. - Turrets that fire green projectiles that players can use as a bounce pad. - Platforms that rotate depending on which end the player stands.